Like his current tour mate Neil Young, Bert Jansch’s fifty-year career has covered a lot of ground. 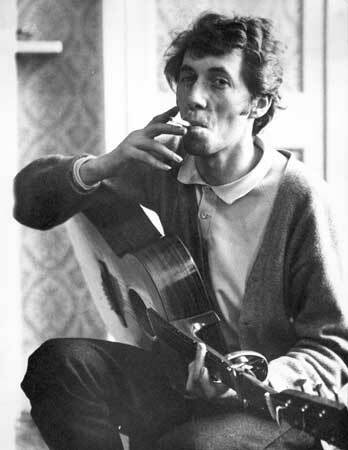 From his early days in the folk clubs of Edinburgh and London, Jansch emerged as a unique, individual songwriter, releasing several highly influential solo albums before forming the groundbreaking group Pentangle. Throughout the past decade, as American musicians like Devendra Banhart and Vetiver have championed the psychedelic folk music of Pentangle and Incredible String Band, Jansch has found a new generation of musicians to work with. 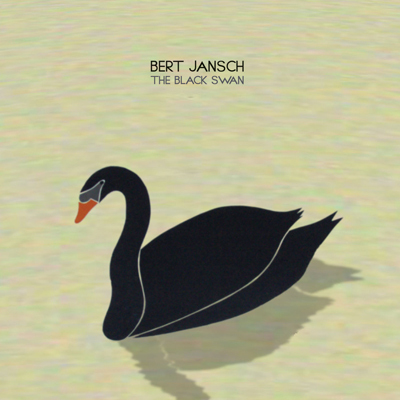 2006’s The Black Swan, produced by Noah Georgeson, finds Jansch exploring both traditional songs (“Katie Cruel”) and originals in a new context. Drag City, the Chicago indie label, has also decided to reissue three of Jansch’s post-Pentangle albums, L.A. Turnaround, Santa Barbara Honeymoon and A Rare Conundrum, originally released on the celebrated Charisma label . Most recently, Jansch been tapped by his friend Neil Young to open a string of dates on this summer’s Twisted Road Tour. On Wednesday, he spoke with American Songwriter from Knoxville, Tennessee. A lot of people, including Neil Young, have cited your first record as being very inspirational. What were your influences at that time? I was listening at the time to people like Brownie McGhee. And I was really into some of the old blues singers like Leadbelly and Big Bill Broonzy. Not that I actually play any of their material, but they showed me what was possible. They’re fantastic. 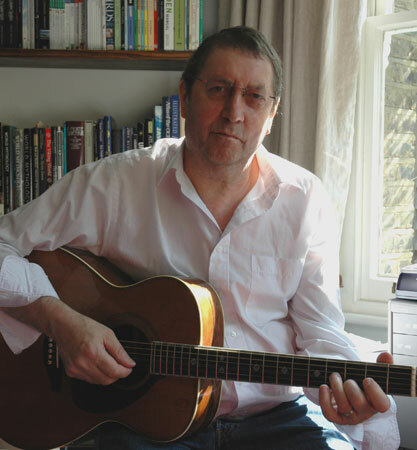 At the time there were people around like Martin Carthy, John Renbourn, who I played a lot with. I listened to a lot of traditional music. Anne Briggs, stuff like that. How did you develop your guitar technique? I think a lot of the clawhammer picking-type stuff came originally from Scotland. I got it second hand from some Scottish players. Archie Fisher is one. And a guy who’s a lifelong friend but he doesn’t play in public, Len Partridge. He taught me a lot of blues. You were one of the first to fuse traditional music from Scotland/England with American blues. Well, when I was fifteen, I went to our local folk club in Edinburgh and I was totally interested in guitar. [At that time] I was listening to blues singers, and Woody Guthrie and stuff like that. But at the club there were traditional singers and I got to know them all, like everyday sort of people. These were real traditional singers, Jeannie Robertson and Jimmy MacBeath. Jeannie was a gypsy and Jimmy was a street singer and they sang at the club quite regularly. Then the younger generation, which they called the revivalist singers, Anne Briggs and people like Louis Killen and Bob Davenport, they all came after that, not that far behind, actually. At the same time I was still doing blues and it had to cross over at some point. How did you start writing songs in those days? Well, I didn’t know any songwriters. All the players in Scotland at the time were all playing either traditional material or stuff from Pete Seeger and Woody Guthrie. When I started writing I actually surprised everybody by coming up with songs of my own. My first album’s got a lot of blues in it and instrumentals from the influences of Davey Graham. But there was no traditional stuff. It came after the traditional stuff. Do the musicians you worked with for The Black Swan—Devendra Banhart, Noah Georgeson, Espers—and their scene remind you of the ’60s folk scenes in Edinburgh and London? It definitely does, in a way, because it’s a very collective thing. My early days, when you were learning stuff, I was brought up with Robert Williamson and Clive Palmer. From fifteen onwards we were sort of a terrible trio, if you want to call it that. We eventually went our own ways. I went to London and met up with John Renbourn. And of course, you’re listening to a lot of music; it was really flooding in at that time. Things like Charlie Mingus and Miles Davis. And of course the style of Pentangle, we were all listening to the same music, which helped in a way to get things started, to get things going. Jacqui was the traditional singer in the band. How did the Bert and John album come about? Me and John were sharing a flat. We were both solo at the time, in London. We were doing separate gigs all over the place. Sharing the same flat we got to know each other very well. These pieces on Bert and John are just pieces we were playing around to experiment, that’s why the pieces are so short on the album. That’s one of the shortest albums in the world, that one. Full of material, but very short. Did jazz players inspire that record? It was a complete mixture, me and John trying off ideas together. We were all inspired by Davey Graham. Sadly, he died last year. But he opened up many, many doors. That you could actually put different forms of music together on the guitar. Davey was definitely an inspiration. Did you and John have to work out two-guitar arrangements to avoid doubling each other? [laughs] We just played. There’s no real thought to it. I would start playing and then John would join in and we’d have a number. There wasn’t any logic to it. How did the version of “Katie Cruel” with Beth Orton and Devendra Banhart on The Black Swan come together? She got it from Karen Dalton, the vocal anyway. And I put the guitar to Beth’s vocal. Though I’d listened to Karen Dalton’s version a lot, that was on a banjo. Her banjo playing is absolutely spectacular. There’s no way I could do anything like that with my method. But on the guitar I came up with a backing for it. In the ‘60s were you guys aware of Karen Dalton and Bob Dylan and the Greenwich Village folk scene? We were certainly aware of them, particularly because Dylan had come over to England. You could get all their albums quite regularly by then. Before the ‘60s it was very rare to get any albums from the States. Was it possible to get old blues records? Well, when I was fifteen in the folk clubs there were a lot of players like Len Partridge, Archie Fisher and Hamish Imlach—Scottish players who all played some blues in their set. Archie Fisher liked Pete Seeger. If anybody went across to the States, everybody would ask them to bring back albums with them. The albums would be passed around the whole scene. One album would go a long way. Were you learning songs off records or from other people through a more oral tradition? A bit of oral tradition. But also we were lucky enough that folk clubs would sometimes have somebody like Brownie McGhee and Sonny Terry come over and play, when they did a tour of Britain. Also Pete Seeger. So we got to witness playing directly. I’ll never forget the one with Brownie McGhee and Sonny Terry. It was a very, very small club. It would hold about fifty people. To be that close… it was magic. How did you first meet Neil Young? It all started through Devendra [Banhart]. I was over doing a few shows in 2006. Devendra asked me if I would play on a few gigs he had lined up, which also included The Bridge School Benefit. That’s how I met all of Devendra’s retinue and everything. [laughs] We did some great shows. And then we went off to do The Bridge School and I was part of Devendra’s band at the time. Neil actually surprised me by asking me to play a number with him. He said it was derivative of me. When we did it, it was the first number of the day. I had five minutes to learn it. “Ambulance Blues.” He said it was derivative of me, but I don’t think it’s got anything at all to do with it. It’s a very different song. Anyway, that’s how we got involved. How has your presence on the tour—and style of playing—affected Neil? Well, the show he’s playing at the moment is fantastic. Although—as much musicians are—he doesn’t always come off the stage thinking, “Oh, that was wonderful.” But the actual music that I hear is incredible. And it’s all just him. He starts acoustically and goes through quite a few old numbers and then he picks up electric and when he does it certainly explodes. It’s more that he’s influencing me than the other way around. What songs are you playing for these shows? Bert Jansch and Neil Young play the Ryman Auditorium in Nashville, Tennessee on June 2 and 3, before wrapping up the tour with three final dates in Texas. Jansch will join Pegi Young for five West Coast dates in June and also appear at Eric Clapton’s Crossroads Festival in Chicago on June 26.